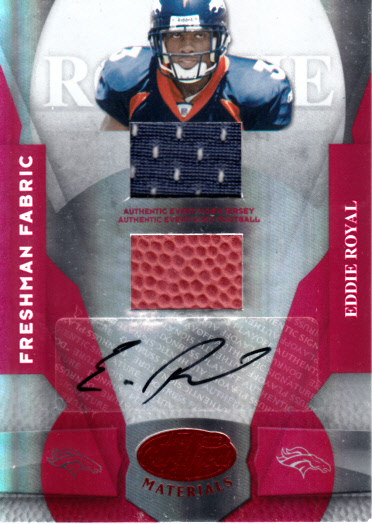 2008 Leaf Certified Materials Freshman Fabric certified autograph card of former Denver Broncos star receiver and kick returner Eddie Royal, also featuring swatches of event worn jersey and football. Numbered #066/250 on the back. ONLY ONE AVAILABLE FOR SALE.